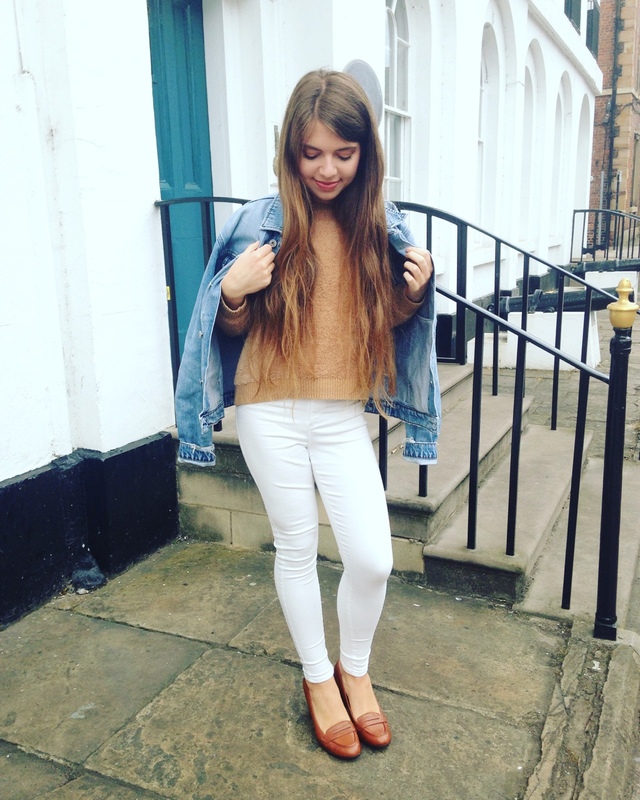 Hello everyone and welcome to another AW17 beauty post! As it is fast approaching the festive season, I am beginning to get my Winter glam makeup etc. 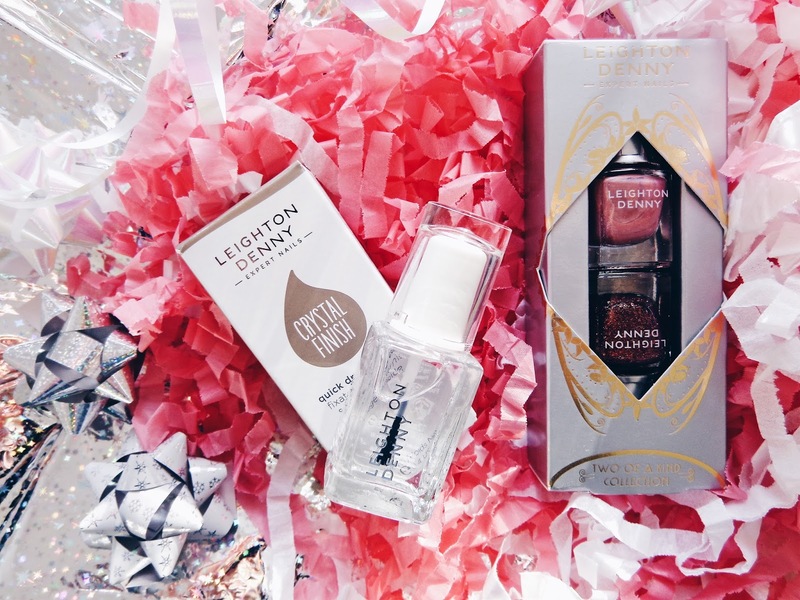 together and today I'm shining some light on the stunning *new collection* which Leighton Denny has brought out, because the colours are just quite literally perfect for Christmas. I was kindly sent these nail polishes and needless to say, I couldn't wait to give them all a whirl because they have such a funky festive vibe, and I love that. I was also really interested to try their designated 'CRYSTAL FINISH' topcoat as obviously we all want to keep that well polished look for as long as possible and this promised to do just that! This year I am going to max out on the festive period so every opportunity I have to add a bit of sparkle, tinsel or fairy lights, I'll be on it! I'm pretty sure even the music I Starbucks is starting to sound a it more twinkly and Christmassy?! With the countdown already on and 'The Big Day' aka Christmas just around the corner - 40 days away to be precise - there's no time like the present (ha, unintentional but none the less fitting!) to be getting into the festive feeling. 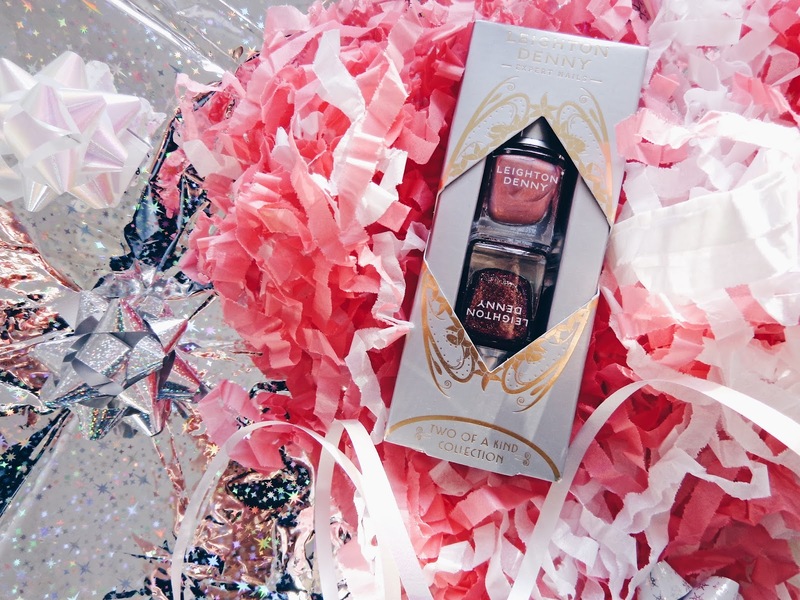 These shades are called 'Jewellery Box' (the deep red and gold glittery polish) and 'Images of The Past' (the lighter iridescent pink shade). 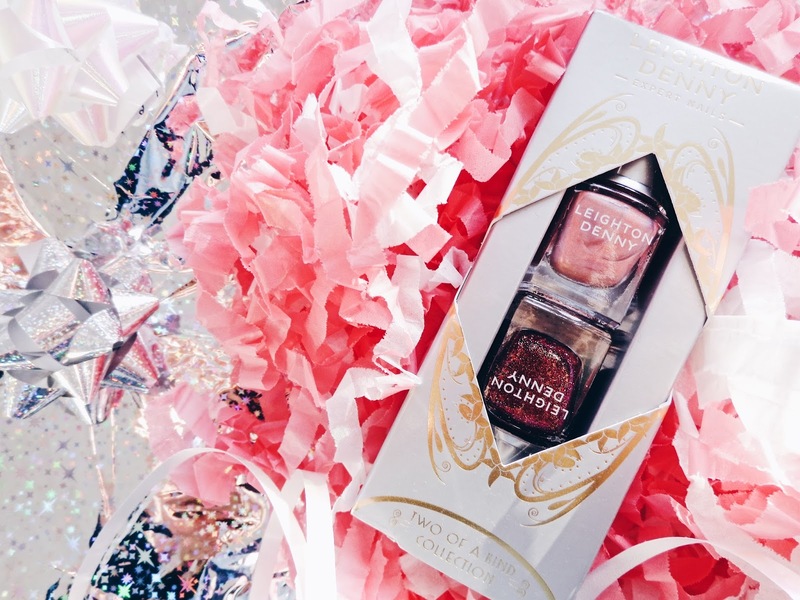 The polishes are great and work really well with a long lasting finish, so it's like having a professional manicure in your own home! Always a good thing. Also, don't you just love it when makeup and nail varnish shades have been given interesting, poetic names? I really do!